Hurricane Michael made landfall causing major flooding and wind destruction in the Florida Panhandle with the storm track continuing into Georgia. In addition to the 160 local Franchises in the Hurricane Michael affected areas, SERVPRO also has a national network of over 1,700 Franchises across the country. Our designated Disaster Recovery Teams have been activated and will be deploying to the affected areas as needed. The American Red Cross is working around the clock along the East Coast to help the thousands of people whose lives have been affected by Hurricane Michael. I link below will take you to the American Red Cross page for Hurricane Michael relief. 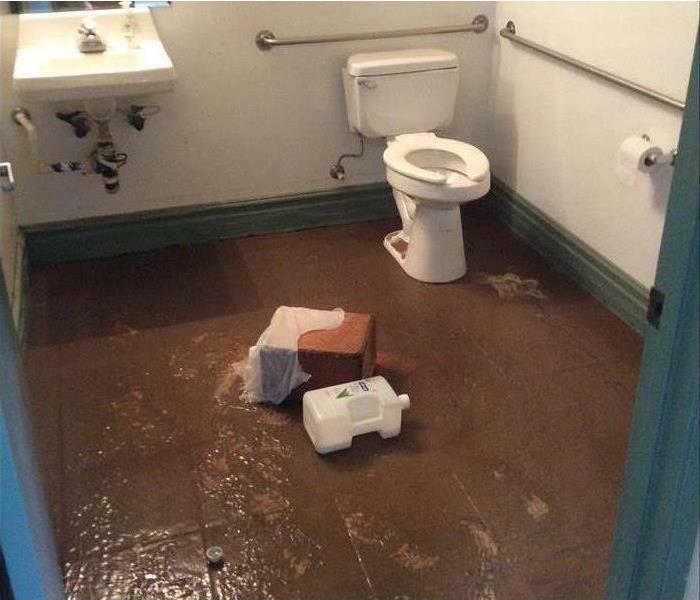 Have you ever returned home to find water on your kitchen floor or had your toilet overflow for no apparent reason? Seeing only a small amount of water the typical response to a situation like that is to simply mop up the water with some towels and go on with your day. Once the water is gone we tend not to think about it again. That is until a week or so passes and the affected area begins to smell. What you may not have realized at the time is that while you were able to remove the water from the surface of the floor, some of it entered the walls and possibly even the cabinets. This water then just sat there. But stagnant water does not just sit. 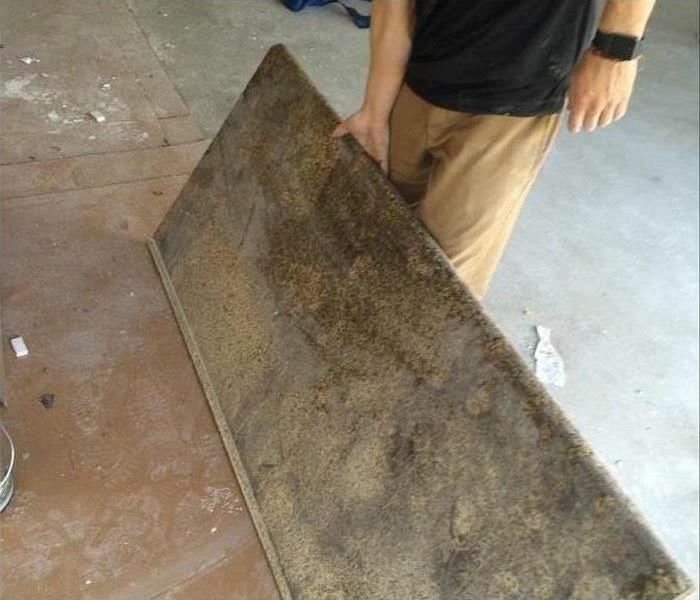 It degrades, it softens materials, and it is the essential item needed for mold growth. If you have a leak, no matter how small, Call the Professionals at SERVPRO of Spring Valley / Jamul and let us dry your property quickly to avoid those odors and the potential health risks associated with mold growth. 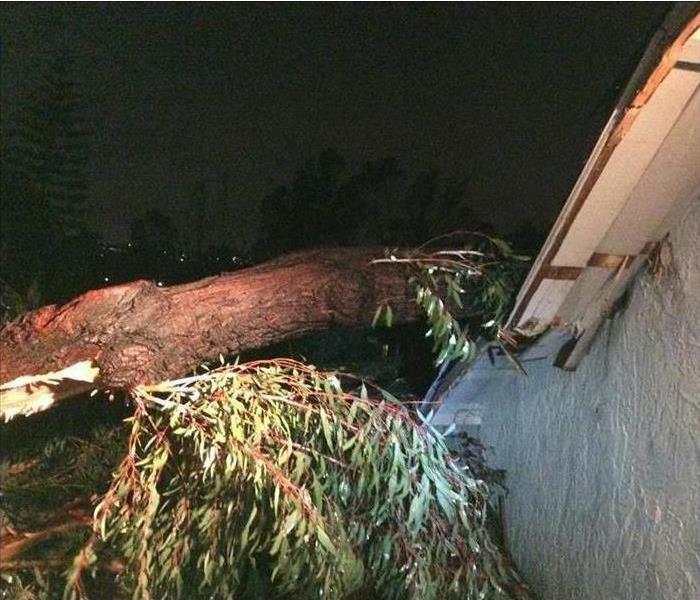 When storm season approaches in Jamul, CA, it is important to make sure your building is ready to withstand the oncoming onslaught. Regular exterior maintenance is the key to preventing problems that arise from storm flooding. To make sure your commercial property is ready, you need to perform a regular building inspection on all exteriors. Weaknesses in the cladding can lead to a greater vulnerability to storm flooding. Exterior maintenance, preferably by certified professionals, may need to be done in order to ensure that your building is protected. Floodwaters can get into the tiniest cracks, so you need to be vigilant when it comes to keeping the exterior walls of your building maintained. You want to do more than just peer at them with your naked eyes. Tests can be performed on the air or water infiltration levels. That is, professionals can discern how much water your walls are likely to let in and how you can stop it. The windows are some of the most vulnerable features of your building's exterior. There are several parts of the window that may be prone to leakage, especially if the window is opened frequently, causing enhanced wear and tear. Make sure you have adequate weather stripping to keep everything sealed tight. Check for holes and proper insulation. You can also enhance your window's protection with upgrades such as electrochromic glass. Don't let storm season sneak up on you. By conducting regular inspections and exterior maintenance, you can ensure that your commercial property can fend for itself, protecting its interiors against the average storm. A leaking toilet can cause a lot of water damage in your Spring Valley, CA, home. If you let the fixture remain in your bathroom, you may have recurring water problems. It can be hard to know when a repair can fix the problem or when you need to replace the toilet. Use these tips to help you figure out what's right for your situation. 1. Standing water at the base. Standing water around your toilet is a sure sign you have a leak. You may notice this puddle of water if the seal of your toilet is old and worn out. Not only could this stream of fluids cause damage, but it can cost you money in wasted water too. 2. Widespread corrosion. An old toilet may have rust on some metal parts. If you notice this corrosion on multiple pieces of your fixture, it's often better to replace it rather than try to repair it. 3. Cracks in the porcelain. Cracks in the tank or bowl can also lead to a leaking toilet. These cracks may form over time or when a heavy object falls on the toilet. Look for signs of damage every time you clean the bathroom. 4. Constant running. A constantly running toilet usually points to a worn-out flapper or a misaligned float. Sometimes this issue can be addressed with a toilet repair, however, in some cases a replacement may be best. 5. Hissing in the tank. Do you hear a strange hissing sound coming from your tank? This could be a sign that water is being forced through a smaller-than-normal hole. Whether you have sediment buildup or a worn-out valve, it could be a sign that you need to think about a replacement soon. If you have a leaking toilet, you should call in a plumber and water remediation team to address the situation. Working with these professionals can help you figure out if a repair or replacement is best for you. When your company is affected by a fire, the damage extends to more than just the structure of the building. Smoke and soot and the water from the firefighters' hoses could also cause damage to furnishings and equipment. Electronics are particularly sensitive to damages. After an electrical fire or any time your electronics have been exposed to smoke and soot, that equipment will need special attention. Even if there wasn't any fire in your building, the smoke that covers your electronics could cause the devices to overheat and premature failure. The inside components of the electronics often become coated with a black film that prevents heat-producing parts from getting adequate ventilation. Finally, smoke may be magnetically charged, leading to shorted circuits and adding to the risk of over-heating. Wherever smoke travels, soot is likely to settle. The acidity in the soot actually causes more damage than smoke. This acidity is often responsible for the disintegration of internal elements and the destruction of metal components. After the fire, you can be hurt when handling damaged electronics. Additionally, the wrong touch of a button could cause the loss of vital information. For these reasons, computer cleanup should be handled by experienced restoration professionals. Do not turn any of the electronics on to prevent hazardous exposure and further damages. If you do turn them on, the corrosive acids left by soot could lead to another electrical fire or immediately cause the device to fail. The best way to prevent the loss of computer data is to always have your information backed up to a storage device located somewhere else or stored to the cloud. The next best step is to get your equipment to a professional as quickly as possible. These technicians have the training and equipment necessary to prevent further losses of information. Prevent further electrical fire outbreaks by turning electronics over to professionals in Bonita, CA. Remember these dos and don’ts to keep your home safe when you cook. Cooking with grease is one of the leading causes of kitchen fires in homes. Hopefully, you’ll never experience the damage that one can cause in your Spring Valley, CA, home, but if you encounter a grease fire while cooking, there are a few things you can do to put it out. The first thing to do is turn off the heat source. Fires need heat to thrive. Smothering the fire prevents oxygen from fueling the flames. Use a cookie sheet or a metal lid to cover the fire. Glass and ceramic can explode from heat, making them dangerous to use as a cover. If you’re up against a small fire, pouring baking soda onto the flames will put it out. This only works for small fires because it requires a lot of baking soda to do the job. For worst case scenarios, Class K or B fire extinguishers will put out grease flames. This will make a mess and contaminate your kitchen, however. After using an extinguisher, experts can assist with fire cleanup. Pouring water onto grease can actually make the fire worse. Remember that water and oil do not mix! Baking soda is the only baking product that can put out a grease fire. Baking powder and flour look similar but have different reactions with flames. Using a kitchen rag, blanket or other fabric to swat at a fire only fans the flames. Even worse, the fabric is flammable and can catch fire, too. Unmitigated mold growth after a storm in Spring Valley, CA, can wreak havoc on your home and your health. • How do you know if mold is growing? • How quickly do you need to act? • What steps do you take to mitigate the problem? Mold spores are everywhere in the environment. Typically, the spores do not endanger you or your home at normal levels. However, these microscopic organisms can flourish under the right conditions. 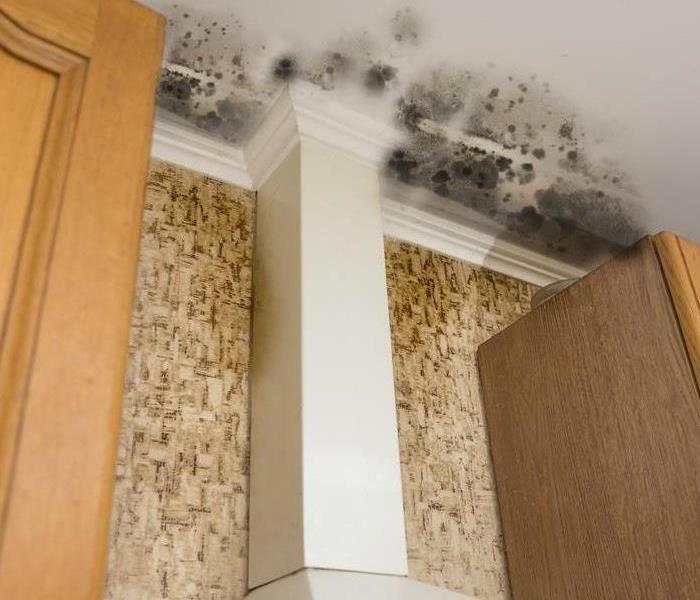 Mold needs moisture to grow and spread. 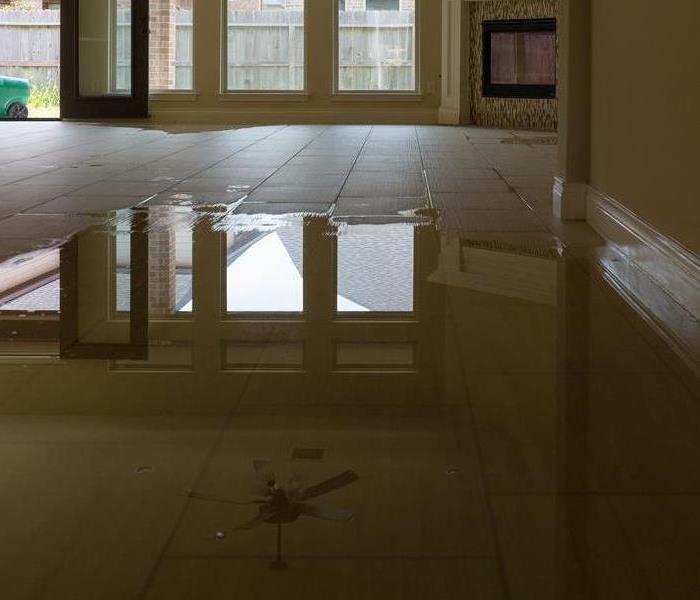 After a flood, the standing water in your home is the perfect environment for mold to multiply. 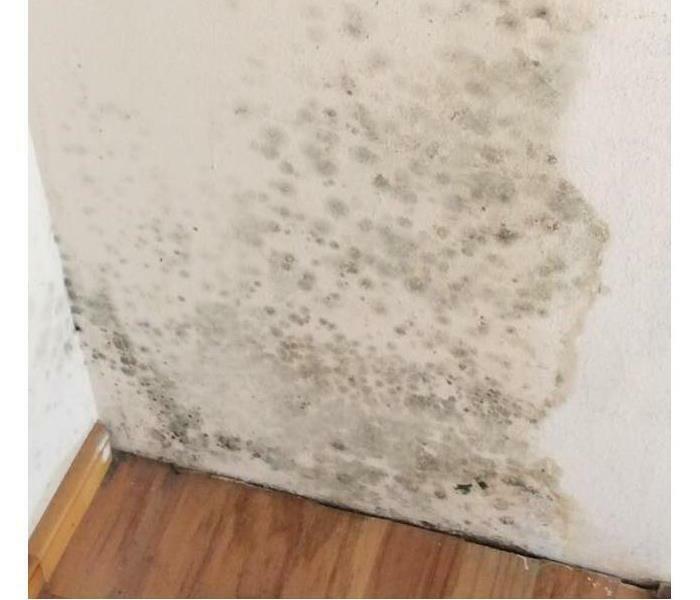 Dampness remaining in floors, walls and basements after the flood water subsides can cause mold growth in as little as 48 hours. So, be on the lookout for an earthy, musty smell indicative of mold. The color of mold varies, including black, brown, white, green or orange. • Act fast to prevent the mold from developing and spreading. Immediately contact a team of water restoration and mold remediation specialists to remove the excess standing water. The company inspects for visible and hidden mold and moisture, contains the affected area, and filters spores from the air. Porous materials are removed, such as carpeting, and remaining surfaces are treated for bacteria, cleaned and sanitized. • Your role as the homeowner is to immediately turn off the HVAC system if you suspect mold growth. This will prevent the further spread of spores. Do not touch the mold or attempt to clean it yourself. Unmitigated mold growth after a storm in Spring Valley, CA, can wreak havoc on your home and your health. Recognize the signs and act quickly by having a mold remediation specialist out to your home as soon as possible after your home floods. For more information, visit http://www.SERVPROspringvalleyjamul.com/. You just got back from the grocery, with your arms full of bags, when you open the garage door and see water everywhere. You follow the path and realize that you have a leaking water heater. Well, put the milk in the fridge and read this quick guide for some immediate steps to take before the water remediation specialists arrive. Whenever there is a leak in your home in San Diego, you should first mitigate your personal injury risk. Be sure to turn off the electricity at your main circuit breaker panel before doing any cleaning around the broken water heater. Also think of electrical areas you may not be able to see, realizing that anywhere the water has contacted electricity, including wiring in the walls or under the floor, is dangerous. Once the electrocution risk is eliminated, also be careful to avoid slipping and falling from the water. Now that you've turned off the power, you can turn off the cold water supply that leads to your leaking water heater. Usually, the valve on the water supply pipe is the only thing you will need to turn off, but if you can't access that area, you may need to turn off your main household water supply. • Remove excess water with mops and rags. • Remove smaller fixtures and furniture from the water and wipe them dry. • Protect furniture legs by putting wooden blocks or aluminum foil underneath. • Remove personal belongings from the water. • Increase airflow in the room by running fans and turning up the air conditioning. A leaking water heater can cause a lot of damage and time is a critical factor for cleaning. You'll need to carefully follow instructions from the professionals to avoid complications, such as further contaminated water from exposure to hazardous chemicals or microbes. For more information, visit http://www.SERVPROspringvalleyjamul.com/. You never know when disaster may strike, which is why it’s essential to have a first aid kit in your building. An emergency kit can be critical to preventing further injury while waiting for a San Diego, CA emergency response teams. But just what makes up a good first aid kit, and what should you keep in stock at all times? One other thing you should always include in your first aid kit is emergency contact information for local emergency services. While everyone knows to call 911 in the event of an emergency, it can also be useful to have contact numbers for local fire and police departments. One thing to keep in mind is that the materials in a first aid kit can expire. You should always double-check the supplies on a regular basis, and replace anything that’s expired. Considering that others in the office may make use of the kit without replenishing it, you should also periodically check the supplies to ensure everything is inadequate supply. Safety also means preparedness, and always ensuring you have the appropriate supplies on hand. For more information, visit http://www.SERVPROspringvalleyjamul.com/.